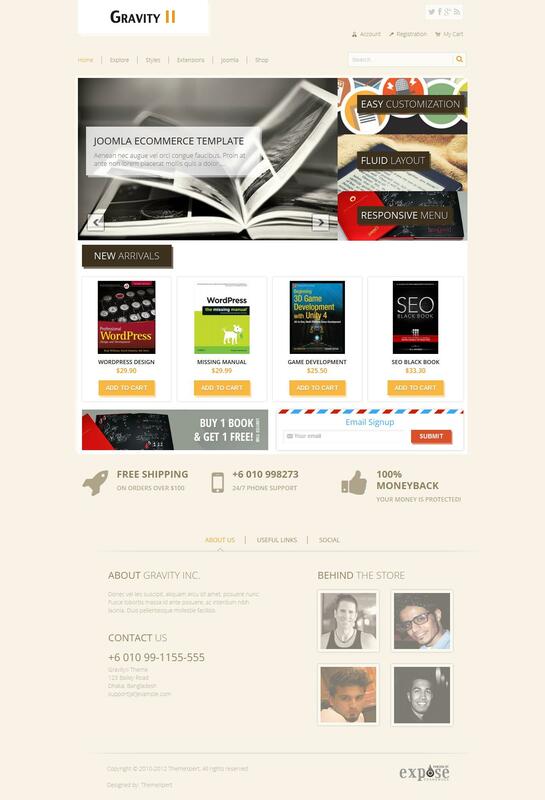 Let's get down to business with our new theme release for the month of September, GravityII. It's an E-commerce template which has creative and professional way to present your products to support your business vision, provide ideal resources to achieve great success. GravityII is founded on our powerful and extensive Expose framework, offering visually interactive vibrant design with 4 elegant preset styles, several module styles, support for our extensions modules like Xpert Slider, Xpert Tabs and so on.